The V&A Waterfront is a wonderland of restaurants, shopping experiences, galleries, bars, and seaside attractions year-round. Over the festive season, it truly comes to life. There are some exciting new areas to explore, along with some great events to suit any taste. So add the V&A Waterfront to your list for the summertime, and read on to find out what’s happening. 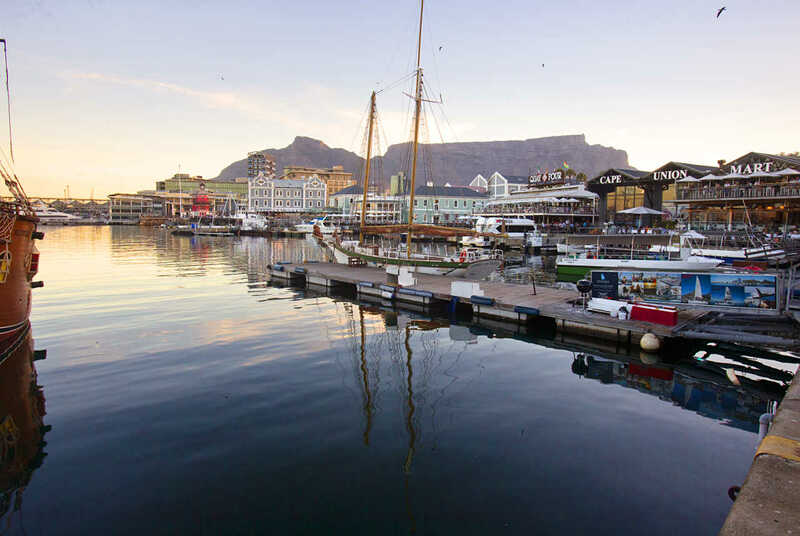 The Canal District straddles both sides of the Dock Road entrance to the V&A Waterfront. It offers gorgeous city, harbour and mountain views, and a number of great activities for visitors. The canal itself offers a range of water activities, from standup paddling to kayaking and swimming. There’s also a water taxi to take you to and from the Cape Town International Convention Centre. The Piazza offers dining and shopping experiences, with pedestrian paths, benches, and gardens. Stairs leading down from the Piazza give visitors access to the canal, from where they can watch water activities or simply meander along the water’s edge. The district is also home to a Skate and Scooter Park. Here, you can show off your skills on a bowl with spine and pump hump, quarter pipes, layback bank, gaps, a small plaza with hubba’s and rails, a frame set, and a long ledge and rail. It was designed by California Skateparks in the USA with local input from local talent Marc Baker at CA Skateparks Africa. There’s also a muli-purpose court where you can take part in basketball and or mini soccer games. There are adjustable hoops for younger players. Battery Park is one of the highlights of the Canal District. It’s a large urban park where you can revel in the sunshine on a summer’s day. There are expansive lawns and landscaped indigenous gardens, interwoven with footpaths and benches. Find a good picnic spot or just take a stroll and explore the green space. The family-friendly park area is fully accessible to disabled visitors and consists of a jungle gym, swings, rocking horses and a scooter path. For a unique creative market experience, don’t miss the V&A Waterfront’s new Silo Market, held on the last Saturday of every month between 10am and 3pm. The market is a new initiative that partners with the Craft and Design Institute, to offer talented young start-up companies a platform to trial innovative products. The creative new retail offering will also include a range of young up-and-coming performers to complete the fun experience. The market will be carefully curated to offer a limited number of unique products that are not widely available. Get into the festive spirit this November with this year’s Moët & Chandon Golden Tree Lighting Ceremony. The lights will be switched on on Thursday the 29th of November at Silo 7. The evening will include performances by the acclaimed South African Youth Choir and the Cape Town Ballet Company. If you’re not in town for the ceremony itself, don’t worry! The tree will be on display until 6 January, so you can check it out any time. 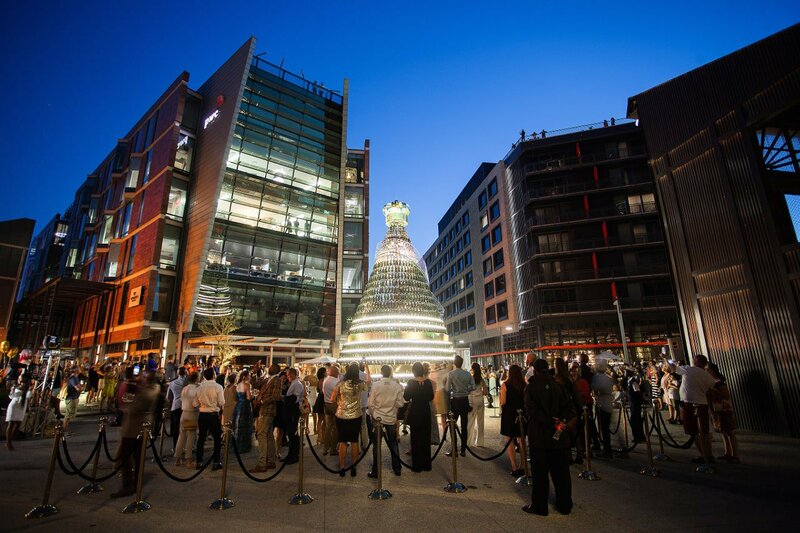 Enjoy a free concert this festive season at the vibey Silo District. On Friday, 7 December, you can catch the Cape Town Folk Fest. On Friday, 4 January, find yourind your Latin American rhythm at the Puesta Del Sol concert. The audience can expect an opening act of traditional Argentinian folk music followed by pure flamenco, a six-piece tango ensemble, and a nine-piece Salsa band. Professional dancers will encourage the audience to join them. Both concerts are two hours long, and begin at 7pm. The Galileo Open Air Cinema makes for an unforgettable experience. Set up with blankets and backrests under the stars at Battery Park to enjoy films from all genres. 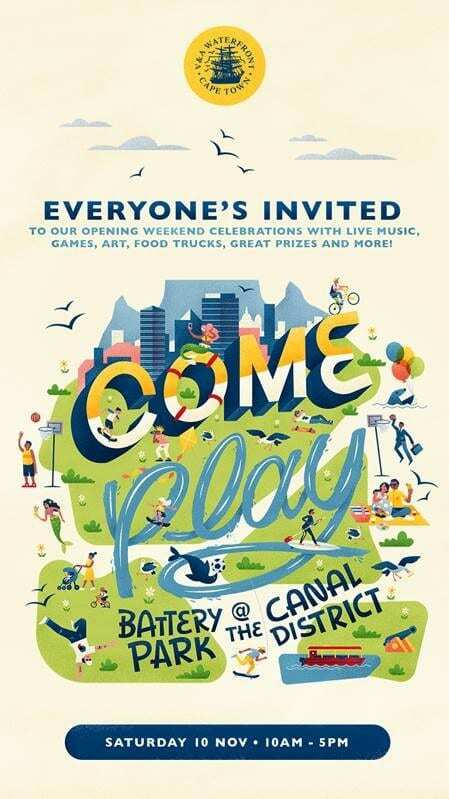 You’re welcome to bring your own drinks and snacks, but gourmet food trucks and drink stalls are on site if you’d prefer. Let the little ones enjoy the magic of Christmas at Santa’s Village, located at Victoria Wharf. Entry is free, and Santa’s workers will be on site to show you around. From Thursday, 13 December, Santa and his elves will be there for pictures and to hear all about their Christmas wishlists! 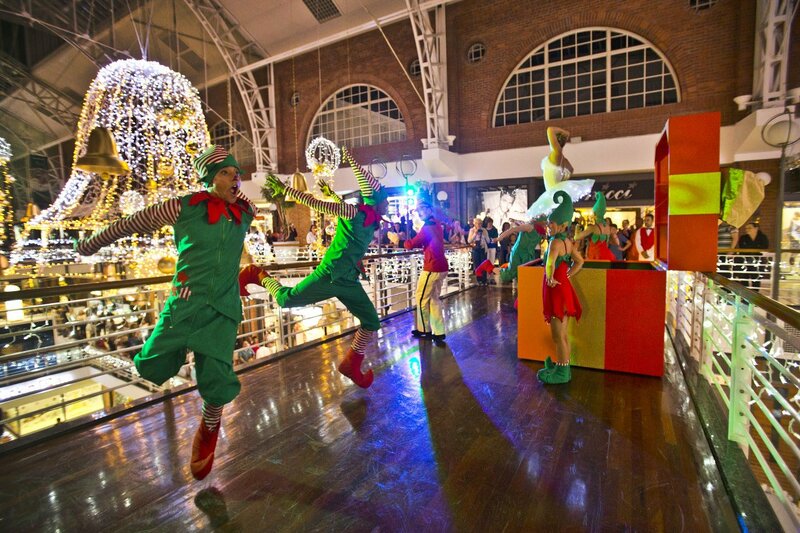 If you’re after some feel-good fun for the whole family, look no further than the V&A Waterfront Magic of Christmas Show! The 20-minute free show takes place every day at 8:20pm, and is Christmas-themed to get you into the spirit. When: Daily at 8:20 pm from Friday, 14 to Monday, 17 December. Kids can look forward to interactive sing-along songs in this magical musical production, featuring life-size puppets. There are performances every day at 11pm at the Amphitheatre, with a meet and greet with Peppa Pig and friends after the show. Run or walk from the Table Bay Hotel at the V&A Waterfront through to Green Point and back and take in magnificent seascapes along the way. To enter, visit topevents.co.za. Say goodbye to 2018 at Cape Town’s biggest and most spirited free New Year’s Eve celebration. In all areas of the V&A Waterfront revellers can look forward to non-stop entertainment from local performers. Expect everything from Cape Town Carnival floats, lively bars, and a kids’ playground to sophisticated dining.